If interior design is a fine art, every room is a blank canvas with boundless potential. Combining function with fashion in your home allows you to create a liveable artform that truly reflects your personality and, ultimately, design a living space that you love. 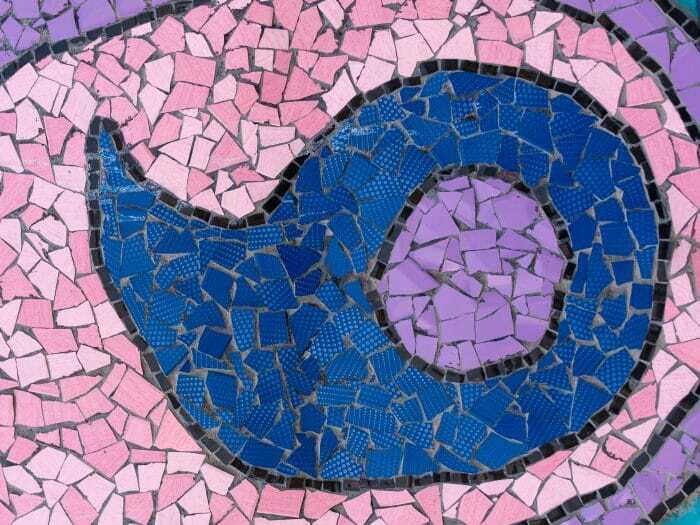 Today, we’re taking a look at the powerful visual impact you can create with mosaic tiles, as we bring you a room-by-room guide to mastering the art of mosaics. From crafting an eye-catching kitchen splashback to incorporating your identity into an iconic feature wall for your living room, our style tips are sure to give you plenty of interior inspiration for the new year and beyond. This busy domestic area is always one of the most difficult to keep clean – making tiles a perfect design solution for this space. Easy to clean and durable, these low-maintenance tiles are ideal for both kitchen flooring and stylish splashbacks. Whether you’re looking to create a rustic country kitchen or you’re drawn to the idea of a Moroccan themed interior, a decorative work of art on your kitchen floor or walls is sure to make a statement. For a contemporary splashback that makes an instant impact, we love the bevelled finish of mini metro mosaic kitchen tiles. Whether you’re cladding the walls with tiles or you’d prefer to adorn your fireplace with an eye-catching border, the living room is an incredibly versatile space with tons of design potential – and mosaic wall tiles will help you to create a feature wall that commands the attention of your guests. The feature wall, typically above the hearth in a traditional living room, should incorporate something you hold dear. Whether that’s family photographs, a beloved painting or a cherished heirloom, it’ll look great when framed with some eye-catching mosaic styles. If your tastes lean more towards the rustic, why not get back in touch with nature by introducing a feature wall covered in Lecco natural stone tiles? Alternatively, you can go cool and contemporary with mosaic mirror tiles and apply a metallic linear border to your fireplace. The wet conditions associated with bathrooms make tiles as much a practical choice as anything else. The easy-to-clean properties of waterproof tiles mean that surfaces are able to resist mould in wetter environments – and with durable non-slip floor tiles on offer, they’re also a worthwhile long-term investment. On top of that, the smaller size of mosaic floor tiles means you can facilitate optimum drainage in your shower room, so cleaning won’t be a problem and standing water will be a rare occurrence. 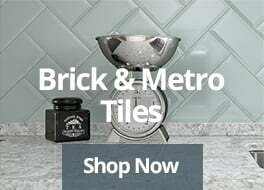 A polished finish that comes with bevelled metro brick may highlight minor blemishes on the walls, but they’re much easier to clean than a matt alternative. For the floor, we love the anti-slip properties of matt mosaic bathroom tiles – such as the neutral tones of Noce travertine tiles. This is the room that should be all about you. Reflect your personality in this space by adding a vibrant mosaic feature wall, or opt for something elegant by adding an intricate mosaic design to your bedroom floor. The octagon mosaic range is ideal for fans of minimalism – or for something a little glossier, you may want to explore the potential of a unique hexagonal mosaic. 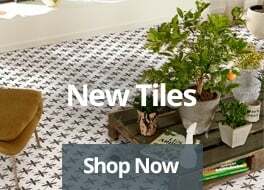 Check out our high-quality mosaic tiles for yourself with a 99p small cut sample, and browse our wide range of competitively priced tiling options available all across the site. Here at Tiles Direct, you can be assured of quality craftsmanship and prompt delivery.